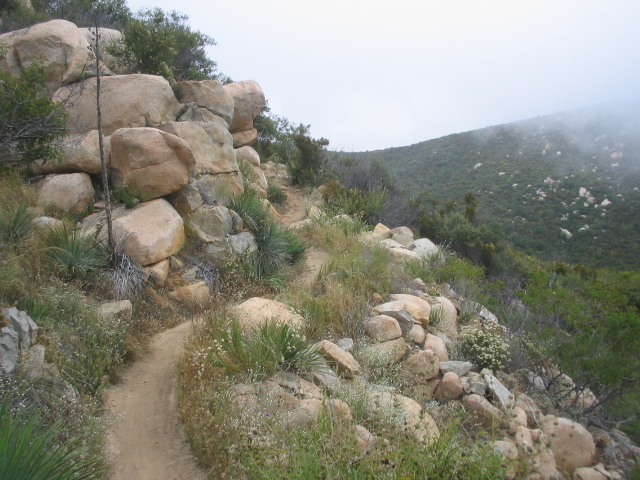 A popular loop in the San Juan trail system off Ortega Highway that combines the traditional San Juan Trail switchback climb and descent with the Old San Juan trail. You'll turn left at "Cocktail Rocks" instead of the usual right to begin a loop starting with the Old San Juan trai - definitely a must! 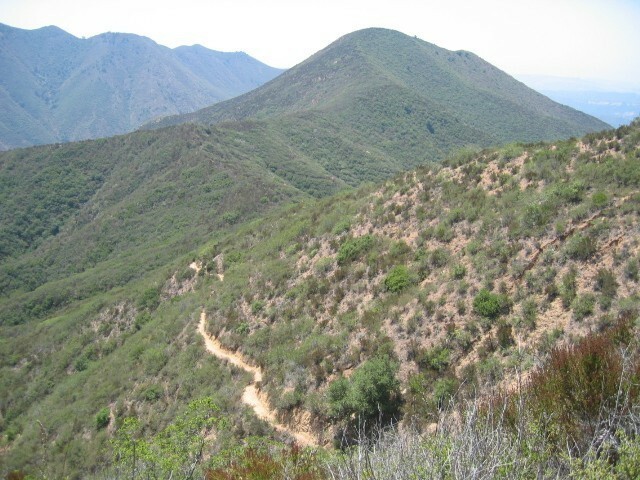 Note: Old San Juan trail exposes you to a lot of Poison Oak. Remember, 3 Clover-like leaves to a branch! First time up San Juan Trail. Left around noon as JP has some stuff in the am. 2.5 miles up had to stop due to heat. JP couldn't get body temp down, but breeze helped as we ascended. Lots of stops for JP to catch up and find a bush to get under to cool off. Couple of close calls on wiping out as tires sliding a lot, though I dropped air pressure. 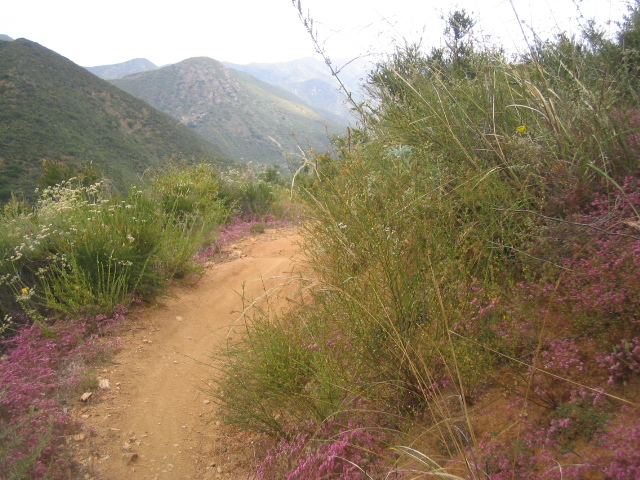 Tons of poison oak up on the loop section, but fortunately didn't touch any. E ticket ride down - total blast, though most of it was slippery. Would probably do up and back to cocktail rock vs. the loop next time due to rocks and HAB sections got a bit old after a while. Felt fine as first time on geared bike in quite a while. Pedaling is easy with gears. Go figure. Wasn't tired at all. Sunday ride with Darin, Martin, Drew & Daniel. Good seeing Benito and bunch of others out there. Not real thrilled seeing 4 E-bikes at Cocktail Rock. We added Viejo Tie for some extra fun. Saturday morning crew ride. Did the loop in reverse and added in Viejo Tie as well. The Chimera 100 mile running race started at 6am and they were coming down San Juan from Blue Jay as we climbed. Still not to bad stopping and letting them go by. Fun ride with Troy, Ben, Greg, Vino, Darrin & Randall.